If you think a sweater and leggings is comfortable then you need a sweatshirt DRESS in your closet. You don't even have to worry about wearing pants! I got this one last year and finally wore it for the first time a few weeks ago (why I waited so long, I have no clue), and I've worn it about 4-5 times since. I also just ordered this one since I've worn my green one SO MUCH. I'll let you know how I like it when it comes in! 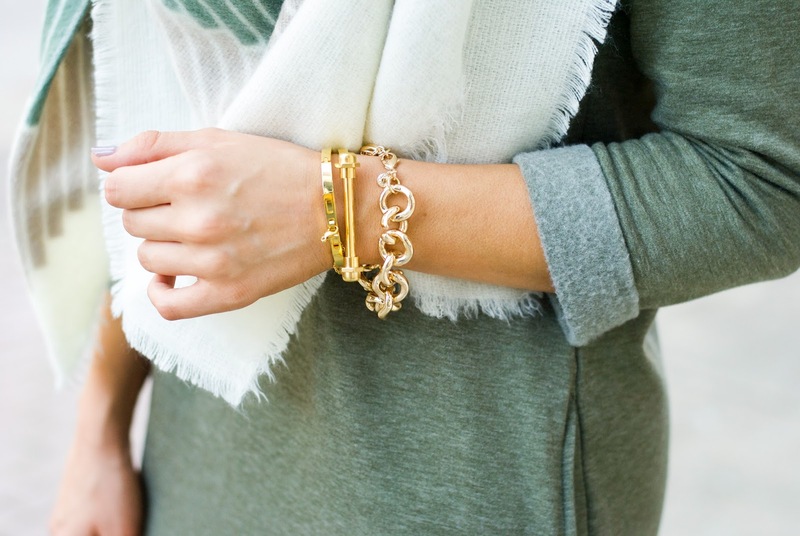 I've listed my favorites in the shoppable bar at the end of this post. These booties aren't cheap, but I fully believe in investing in good shoes and purses. They come in multiple colors, and even in velvet, but I got this taupe color so they'll go with everything. They run TTS in my opinion! I ordered my normal size 8 and they fit great. I'm loving this blanket scarf from ILYMIX because the pattern is different from the usual plaid. 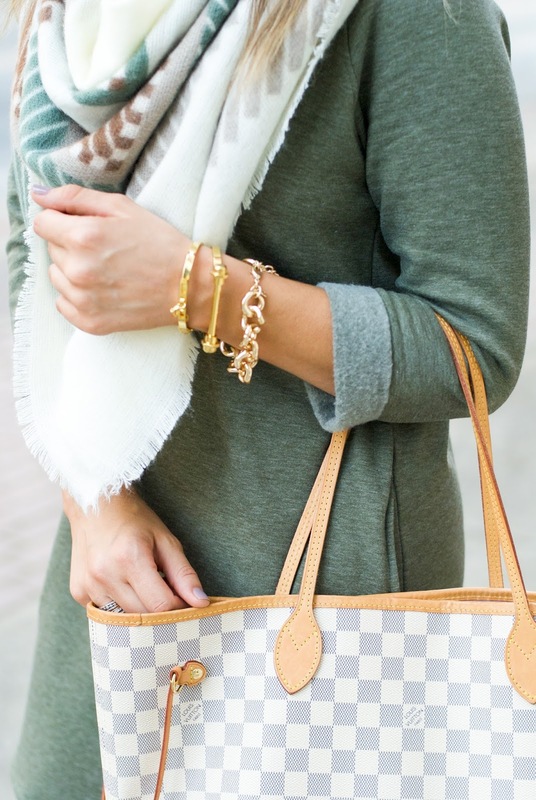 With all the neutrals, this scarf surprisingly goes with a lot of different outfits. Read my blog post on their site here. Use code PAIGEB20 for 20% off your order, and they always offer free shipping! I've never been a floppy hat gal but something came over me this fall. I just got this one and LOVE it! It's not too floppy and in my face, but not too stiff. It comes in 3 colors.